Even though Samsung Galaxy Note GT-N7000 (the first version of GNote), by factory default, runs on Android Gingerbread version 2.3.5, I know that your Galaxy Note might already run on Android Ice Cream Sandwich version 4.0.4 or even already installed with Android Jelly Bean 4.1 OS. Whatever the Android Operating System on your device, the steps that you must do on how to insert the SIM Card, insert or remove the microSD external storage card (for some regions, 2GB microSD card is included), open the battery cover, Charge the phone, and Power on the Galaxy Note are absolutely the same. Using Super AMOLED capacitive touchscreen, this phablet (combination between phone and tablet) comes with the same screen size as Samsung Galaxy Note 2 GT-N7100: 5.3 inches with 800 x 1280 pixels resolution at 285 ppi pixel density. The Android OS is powered by dual-core 1.4GHz ARM Cortex-A9 processor with Exynos chipset and Mali-400MP GPU. Actually there is another version for this Samsung Galaxy Tab 2 10.1 device. This one that we wrote is the version with mobile provider data network capabilities (3G): the GT P5100 version. Another version is the one which only has Wi-Fi connectivity: the P5110. Though, without doubt, you can still use the tutorial at this page as both Galaxy Tab 2 10.1 GT P5100 or GT P5110. The difference only on the matter of inserting the SIM card on its slot. Just wanna let you know that the internal memory storage available for this Galaxy Tab 2 10.1 is about 16GB and also 32GB (depend the version that you had). BTW, the number 10.1 means the tablet has 10.1 inches diagonally display. If you wanna expand the storage there is a microSD card slot ready to be used, and it can be inserted with up to 32GB memory. Usually the device that use large display screen more than 7 inches is called as tablet. But it seem this gadget seems to be not followed as usual. Instead, it uses the small version of smartphone device. 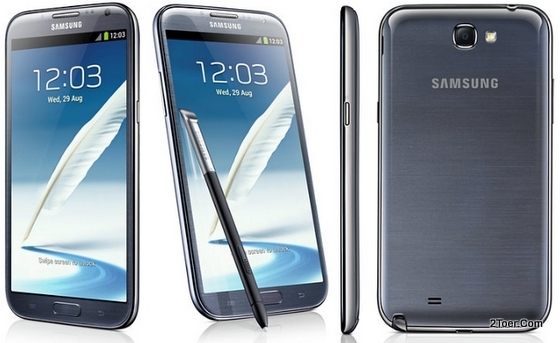 Samsung called it as Galaxy Note 10.1 GT-N8000. Yes it is the larger screen size version of Samsung Galaxy Note. Although it has the same name of Galaxy Note, but the tutorial how to insert the SIM card or memory card are a bit differs for both of them. It's because this Android phone-tablet (currentlyh runs on Ice Cream Sandwich version 4.0.3) still a kind of tablet, in which the battery commonly is a non-removable lithium-ion 7000 mAh battery. There is no back cover casing that can be opened or attached. Although, on how to use the S Pen Stylus it might be the same. There are some basic steps that you must do in order to be able to use this SGS3. For example because this phone has quite wonderful 8 Megapixel camera with ability to record HD 1080p@30fps video, it might that the 32GB (if you had this version of internal memory, another version can be lower for 16GB or higher for 64GB) isn't enough for you to save the recorded video or photos. Therefor an additional external storage is needed. The slot capacity is up to 64GB. Another steps including how you can use the data network provider carrier which need an installation for its card: the SIM card. In which, it uses micro-SIM type. 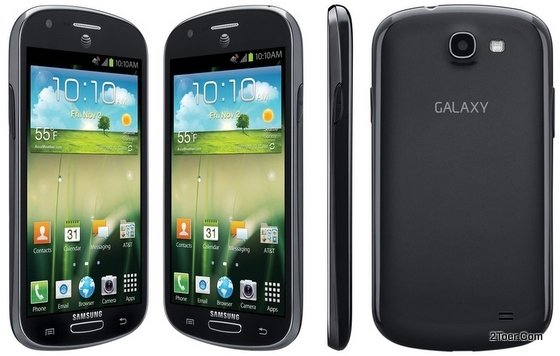 Samsung Galaxy S III SCH-L710 for C Spire. These also including the CDMA version or LTE variants such as GT-I9305 (N/T), SGH-I747m for Bell, Rogers, Telus, Virgin, SGH-N064, SHV-E210K/L, GT-I9308, SCH-J021, and more. 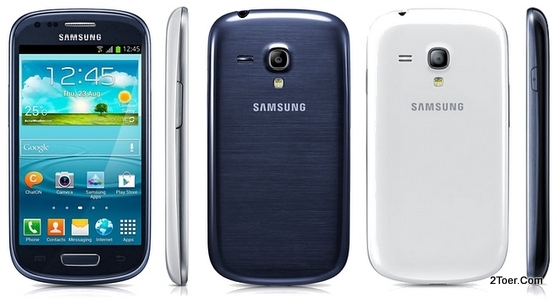 Using Y for Young on this Samsung Galaxy GT-S5360 means that the targeted market for this phone is for teenager or at least a boy or a girl. Some of them might a beginner on using the Android Gingerbread OS (installed for this Galaxy Y at version 2.3.5). That's why we write this post in order to give them a simple and fast explanation how to back cover, insert sim card, insert microSD card and also how to do Factory Reset. For your information, the capacity of the microsd card is 32GB maximum and the sim card type used for this Galaxy Y is mini SIM type. Having the external storage for this phone seems like a kind of a must. It's due to the internal stoarge memory for this phone only has 180MB. It's also has 290MB RMA with 830Mhz processor speed. What make this a special smartphone and gain a lot of fans is the combination between smartphone and "note" ability with its S Pen stylus: Samsung Galaxy Note 2 GT N7100. It seems to have a larger screen that the Note GT N7000, it also has powerful quad core 1.6GHz with latest Jelly Bean Android 4.1 Operating System. But before you are able to play with this beautiful tablet-phone (combination between tablet and phone), there are some basic steps that you must do. It including how you can make the network provider of your carrier works, to how you can expand your Galaxy Note 2 storage. Samsung Galaxy Note II SPH-L900 for Sprint.